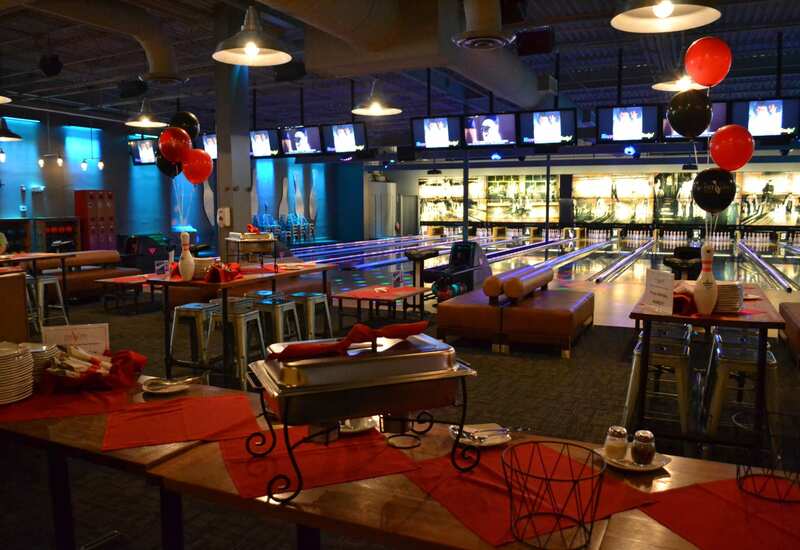 Adult Party & Bowl Packages include Two Hours of Bowling and Shoes, unlimited fountain soda, coffee or tea, and an Antipasto Platter (cheese, crackers, pepperoni, marinated mushrooms, pepperoncini and herb cheese). Minimum of 10 people. Tax, 18% Gratuity and Alcohol are NOT Included. Reservations and items subject to availability. Take $5 Off Your Package Price When You Book Your Party Sunday-Thursday! Parties must be booked in advance and reserved with a credit card. Would you like something special? Just ask. We have plenty of other options available. Crunchy eggrolls filled with hamburger and cheese. Served with smokey gold sauce and garnished with arugula, tomatoes and pickles. Pork dumplings tossed in teriyaki sauce. With baby spinach, pickled ginger and a drizzle of Cusabi. Mozzarella and a mixture of tomato, onion, garlic, olive, and basil with balsamic glaze. Filled with Asian veggies & spices, on a bed of spinach. Sweet chili and crispy wontons drizzled w/teriyaki. Mixed green salad, feta cheese, tomato, red onion, pepperoncinis, olives and housemade Greek dressing.